This past October, Governor Rauner announced plans to unload the Helmut Jahn-designed James R. Thompson Center. 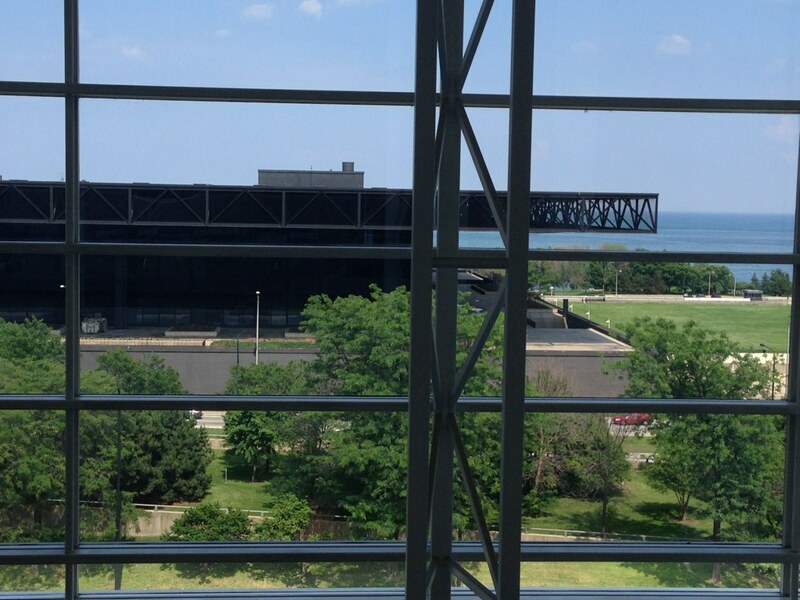 Shortly thereafter, Chicago Tribune architecture critic Blair Kamin called for the demolition of McCormick Place’s Lakeside Center, designed by Gene Summers of C.F. Murphy Associates, ironically a progenitor of JAHN. Although these polemics appear to come from different places, they reflect parallel trends in attitudes toward Chicago’s architectural legacy, and signal new frontiers in ideas about historic preservation. Most landmarks schemes require buildings to be forty or even fifty years old for any sort of historic designation and protection. While neither the Thompson nor the Lakeside Center meet that age requirement, the discussion surrounding their respective fates is raising important questions about the future of architectural preservation in Chicago: when do we appreciate the recent past sufficiently to consider it “historic” and worthy of protection? The question seems particularly relevant at a time when change often seems incomprehensibly rapid. Architectural preservation didn’t enter the mainstream American conscious until the early 1960s, following the failed attempt to save New York’s Penn Station. After the loss of that iconic structure, the National Historic Preservation Act established a National Register of Historic Places. In 1968, when Chicago established its own landmarks commission and began designating landmarks, its mission was clear: preventing the further loss of revolutionary steel-framed skyscrapers of the “Chicago School.” By then, many important examples had been razed, including Burnham & Root’s Montauk Block and Masonic Temple, and Adler & Sullivan’s Garrick/Schiller building and, most significantly, Chicago Stock Exchange, the loss of which prompted a fervent preservation environment in the city that persists today. Almost fifty years later, local reverence for those late-nineteenth- and early twentieth-century buildings has grown exponentially, as architecture and urbanism have come to play a burgeoning role in the city’s idea of itself. The aura of great innovation in the built environment has been made into a commodity here, a distinct cultural identifier and economic engine, as much as the entertainment industry has for Los Angeles and the federal government has for D.C.
It’s arguable that preservation consciousness is higher in Chicago than in any other American city. Over the last fifty years, architectural historians have documented the significance not only of those early skyscrapers, but of the equally important contribution by the “second Chicago school”—the designs of Mies van der Rohe and his followers. Because of this, the city’s claim as the birthplace of modernism has been further reinforced. Several buildings of the mid-century modernist era have been designated local landmarks before the “fifty year” qualifier—Mies’ 860-880 Lake Shore Drive, IIT’s Crown Hall and IBM building, Walter Netsch’s Inland Steel Building and the Jacques Brownson-designed Daley (nee Civic) Center. Now, as dozens of other modern buildings designed and built at around the time preservation legislation was first coming into place come to age, it’s an open question to ask if the same preservationist protections will be granted. The still-simmering controversy over the now-demolished Prentice Hospital, designed by Bertrand Goldberg, doesn’t portend a cheery scenario. Rauner and Kamin’s recent positions on two important Chicago structures don’t either. Do we have some special responsibility to preserve in Chicago? Or because of the abundance of great architecture, can we relax our standards in the name of “progress”? Bonnie McDonald, president of the preservationist organization Landmarks Illinois, maintains a positive outlook on the situation, consistent with her role; she thinks an emerging generation of preservationists will save the day. “Late Gen-Xers and Millennials see mid-century modern as inherently valuable, compelling and worthwhile,” she says. But she also thinks we have to start viewing preservation activities as more than simply historical. 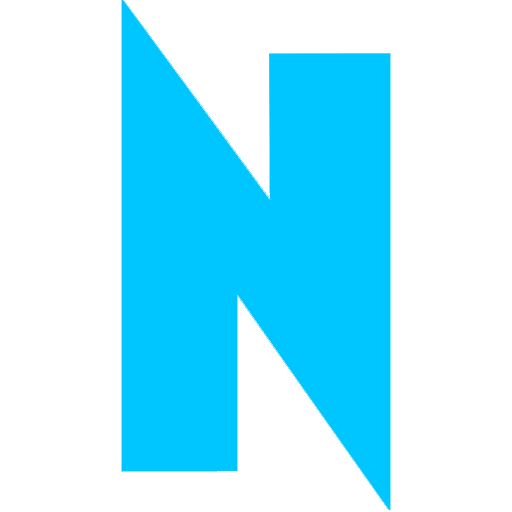 Design, of course, remains the most significant factor. Few observers—even Blair Kamin—would dispute Lakeside Center’s standing as an important example of Chicago modernism; the issue for detractors is its location on the lake side of Lake Shore Drive, violating the dictate that the lakefront should remain “forever open, free and clear.” Still, the discussion related to its future should test the waters for the next wave of buildings generally considered late modern icons: the Federal Center, Willis (nee Sears) Tower, the Hancock and Aon (nee Standard Oil) buildings. 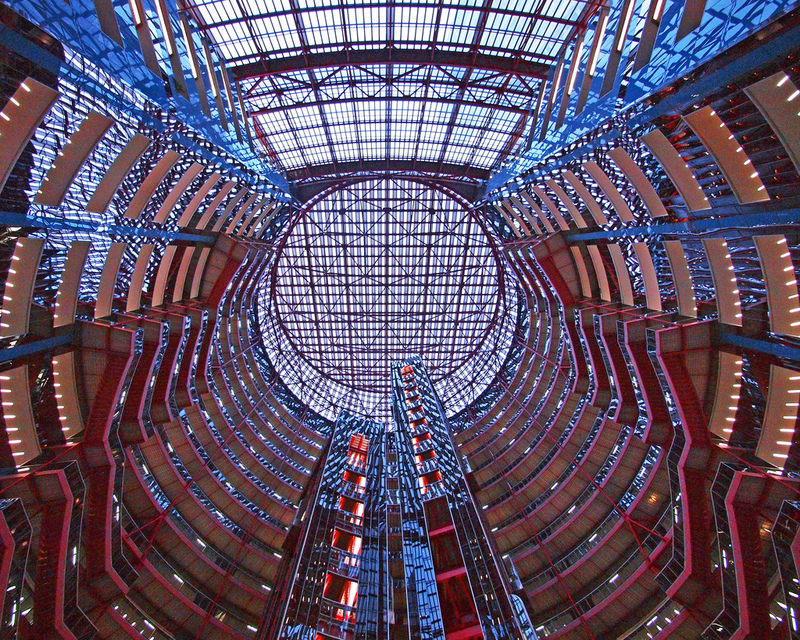 The Thompson Center requires a different analysis. Irrespective of its political overtones, the discussion is mostly about its architectural merit, and centers on its identity as “postmodern.” Yet unlike the modernist movement so strongly identified with Mies and minimalism, postmodernism was a multivalent umbrella which sheltered various approaches to design, their unifying trait being the rejection of the Miesian monolith. One faction incorporated stylized, mannerist historic forms and details—see Thomas Beeby’s Harold Washington Library on State; another employed an architectural vocabulary of metaphor, meaning and value—see Stanley Tigerman’s Anti-Cruelty Society on Grand; and another stressed elaborate facades and richly decorated interior surfaces—see Philip Johnson’s 190 South LaSalle. The consideration of whether a building meets the requirements for landmark protection is extremely complex. But the debate over the merits of the Thompson Center reflects not just ambivalence about postmodernism but also about its designer, Helmut Jahn. The now seventy-five-year-old designer came to Chicago to study with Mies at IIT in the mid-sixties from Germany; by the time he worked on the Thompson Center, he was generally acknowledged as the architecture community’s wunderkind, an original voice in the post-Mies era of Chicago design. Jahn’s career has thrived more in Europe than in the US, and his other Chicago buildings—the Board of Trade addition, the Ogilvie Transportation Center, 120 North LaSalle—were much more warmly received by critics and the populace alike. But even though he was recognized as more than a flash-in-the-pan decades ago, his place in design history remains unsettled. Architectural historian Ross Miller’s essay “Helmut Jahn and the Line of Succession,” published in the catalog accompanying the Art Institute’s monumental 1993 survey of Chicago architecture, pretty much says it all. Jahn himself is the heir to the great Chicago architectural traditions of both Daniel Burnham and Mies van der Rohe, through Gene Summers, an architect all but forgotten today despite his hugely important place in the city’s architectural legacy. Summers had been the director of the residential practice in the office of Mies van der Rohe during the late 1950s and early 1960s. He briefly established his own practice, but shortly after leaving Mies’ office, the powerhouse firm of C.F. Murphy hired him to design the McCormick Place Lakeside Center, which was completed in 1971. Summers brought over one employee with him to Murphy’s firm: Helmut Jahn. As such, the Lakeside Center was the first major project Jahn worked on as a young architect. The background of the Murphy firm is also critical to this story. After the death of Daniel Burnham, his practice was succeeded by Burnham’s aide-de-camp, Ernest Graham, who transformed Burnham’s enterprise into what was arguably the most important architecture firm in America in the post World War I era, Graham, Anderson, Probst & White. Charles Murphy was to Graham what Graham was to Burnham. So when Helmut Jahn joined C.F. Murphy [later renamed Murphy/Jahn and now simply called JAHN], he inherited the mantle of two of the greatest figures in the architectural canon. All of these factors now boil down to the call to do away with the Thompson Center, and to a lesser degree as it’s just an abstract call by Kamin right now, to tear down Lakeside Center. Just because some—or even lots of—people don’t “like” a building doesn’t mean it can’t be important in the history of architecture or design. If it’s had an impact on the public discussion, it’s worth looking at more closely. “Surveying and cataloging historic architecture is key,” says James Peters, who teaches Historic Preservation at the School of the Art Institute of Chicago. Peters says cataloging raises the level of public awareness and stimulates debate and discussion. Although sometimes—as with Prentice Hospital—it’s just not enough. It’s way too early to predict the ultimate outcomes of the Thompson and Lakeside Center buildings. But the unfolding conversation over their respective fates will serve as a bellwether for the future of Chicago history.